I’ve been rummaging again, though not in that drafty mildewed Attic that had me pushing Kleenex up my nose while I worked. Funny the way I miss it now it’s no longer mine to sneeze in. And yet, I avoid the drive-by. My husband chuckles at this. He likes peering down at my parents’ old house to see what changes the new owners have made. Sacrilege! All of it! Stone gargoyles now flank the front door … gargoyles? To accent its Early American design? Worse, the Attic has sprouted dormer windows. Yep, right across the once-so-elegant roofline (see photo exhibit A), three holes have been gouged out of the wood shingles my father paid so dearly for. One quick glance and it’s like I’m looking into Mom’s sad blue eyes on a rainy afternoon. My mother is a house, you could say, not to get too Faulknerian about it. She is gone but her beloved home, a little baffled by the sawing and hammering of late, remains. I understand now why houses are sometimes handed down like a Bible or a gold locket. If you could hug a house, I would. I’d drive by every day and press that brave Deerfield facade right up against my heart. The doorway, copied exactly from the historic Ashley House in Deerfield, Mass. My father loved to elaborate on its unique design to unsuspecting guests. Let me start again. 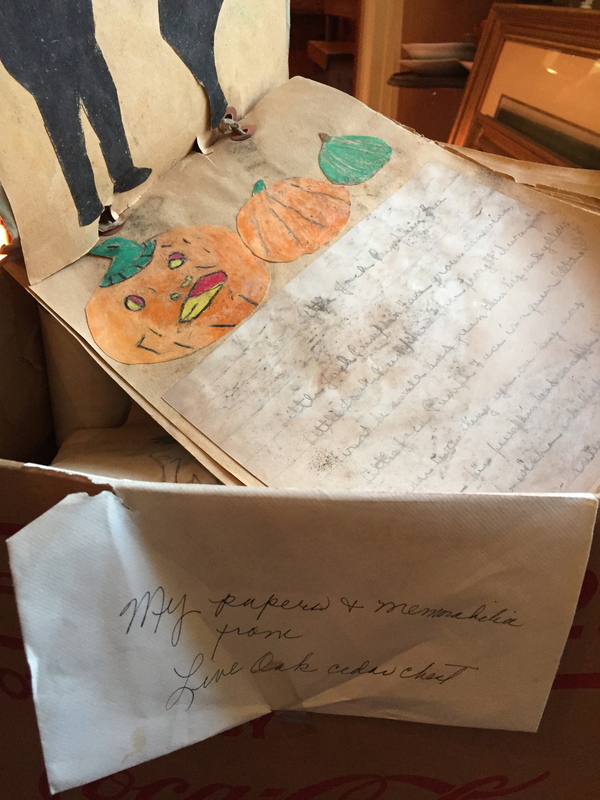 I’ve been in the virtual Attic, sorting letters and photos and pondering the family legends they bring to mind. Surely every family has them, those tall tales that get batted about the generations. Remember how Mama, a flower in her hair, met Daddy hitchhiking to Woodstock? Then there’s sweet sister Sue, who broke the school bully’s nose, and how could we forget the night the police picked up Uncle Pete for swiping a television from the Ramada Inn? These stories are not my own, but they ring true (okay, the stolen TV bit might be from the Mattingly archives. Only the names have been changed …) . The youngest, I was all ears. 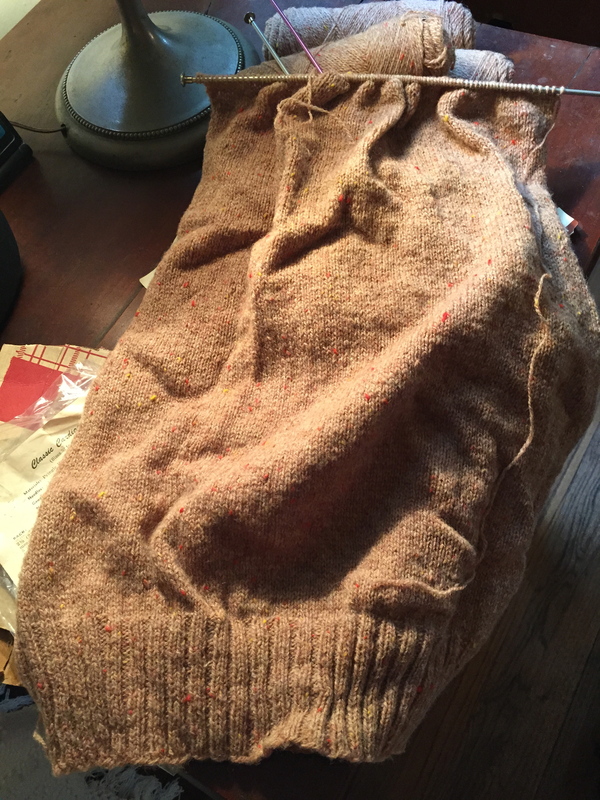 Our legends helped me knit myself into a family tapestry that was all but sewn up before I was born. In Mom’s Attic I find the finishing stitches. See this yellowed newspaper clipping, and that tattered telegram? Proof! The stories are true! Or mostly true. Odd discrepancies have arisen. 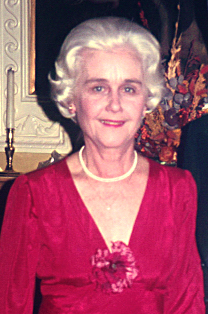 My mother, neé SARA Elizabeth Lee, loved that her parents dropped the “h” in her name. Is this reason to brag? To her, yes. A late convert to Catholicism, Mom disliked being associated with the Biblical SaraH. 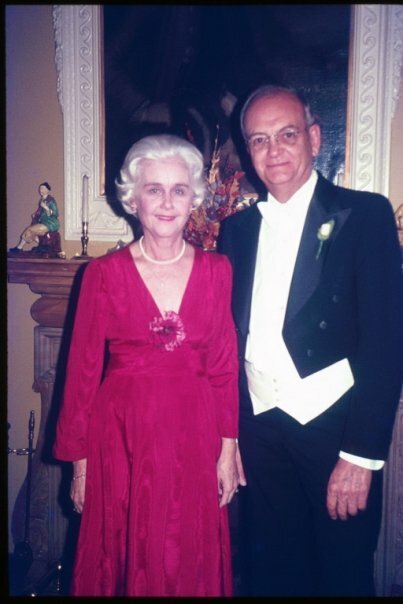 Never mind this SaraH was known for her beauty, strength, nobility–heck, she was a princess! Did Mom OD on the Bible stories of her Southern Baptist upbringing? Was it because SaraH was oft celebrated as the long-barren wife who gave birth at age ninety? (Yes, 9-0!) How distasteful, my mother would have thought. She didn’t believe in getting old. And she took great pride in being fertile as a salmon. Delivered Baby #1 at twenty-four and barely came up for air until I came along at forty-one. A rare photo of my father’s family, early 1930s. Known then as “E.H.,” he stands at left beside his father BENEDICT, step-mother, Stella, and half-sister, Anne. Older brother Ben and sister Marie complete the group. Ironically, my father’s father, Benjamin Spalding Mattingly, was a name-tinkerer too. He christened his first-born Benjamin Lee, and my older brother is John Benjamin. No surprises there. But after Grandfather Ben died, my father unearthed his birth certificate. Ix-nay on the enjamin-Bay! Officially, he was BENEDICT. A Pope’s name! Why the cover-up? Did it smack of that traitorous American, Mr. Arnold? Another conundrum taken to the grave. My Grandfather Ben(edict) died when I was not quite four. 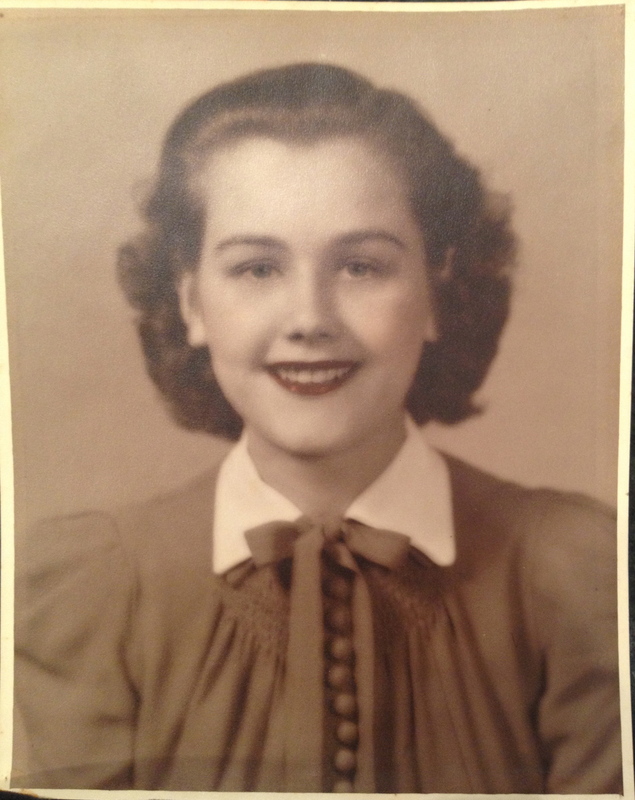 I know him only second-hand, through the handful of grainy sepia-toned photographs my mother squirreled away in plastic shirt bags. There are other stories, too, sad, even haunting stories. 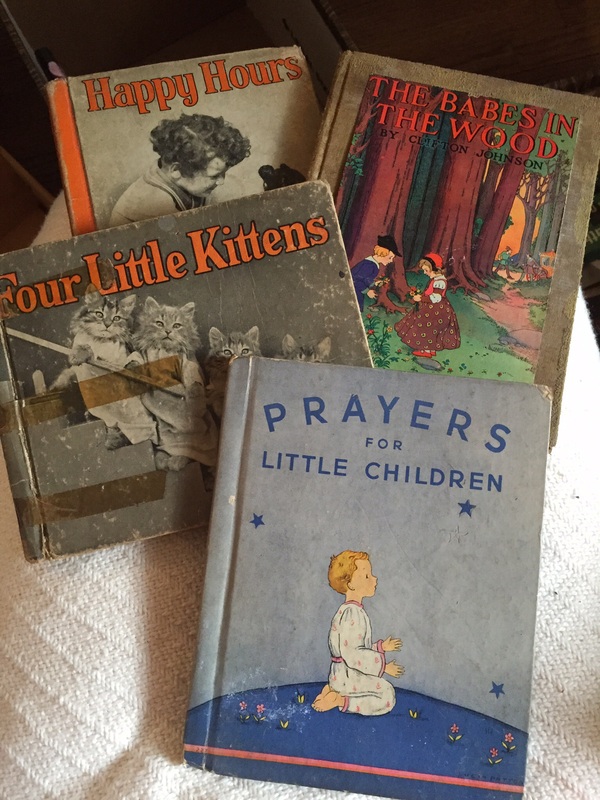 I’ve alluded in these pages (at least twice, begging your pardon) to my father’s difficult childhood. Chapter One: December, 1918. My grandmother, Frances, catches Spanish flu. Her entire family–my father, his siblings, my grandfather–are also ill. Days later, Frances, four months pregnant, dies in the hospital. A few doors down, Grandfather Ben is so bad off that my great aunts decide to keep secret the news of his wife’s death. As Ben gradually regains strength, my grandmother is anointed, mourned, buried. Before anyone works up the gumption to tell him, Ben begins working his way through the stack of newspapers some unwitting orderly has been dropping off in hopes of his recovery. Death is on everyone’s mind. The first World War just over, this flu is on its way to taking 675,000 American lives, far more than the war claimed and the majority of the victims in their prime. My grandfather turns to the obituaries and there, in the December 8th edition of The Atlanta Constitution, is my grandmother’s tribute. Ben’s wife, the child she carried, have vanished. A dubious Attic treasure. From the Atlanta Constitution, December 8th, 1918. A chilling story, one not to be believed, yet it must be true. The papers say so. “Husband So Sick He Is Not Told of Wife’s Death.” I suppose Grandfather Ben read that one, too. 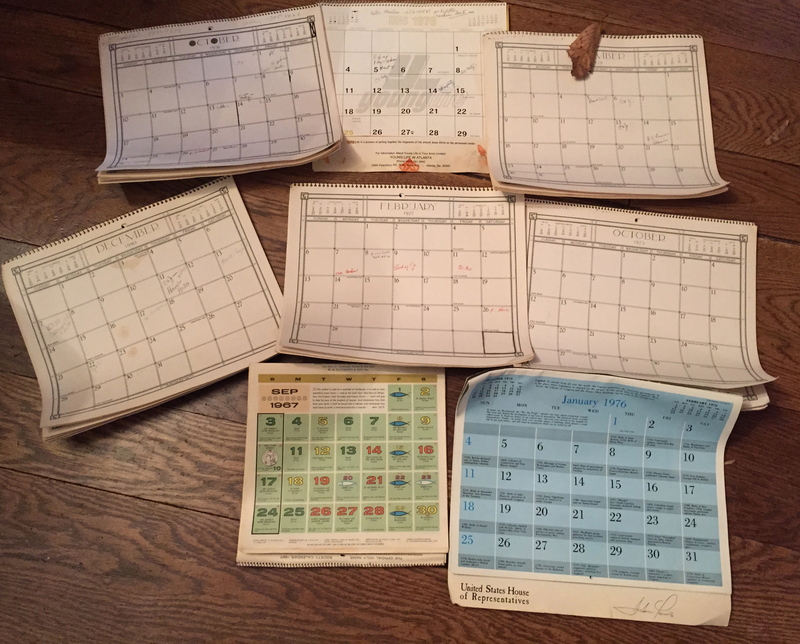 Like my father and uncle and aunt, he beat the flu … or did he? A traveling shoe salesman, he went on to fail spectacularly. He drank, a lot. He disappointed, as my great aunts might say. Some stories paint him as a Dr. Jekyll–sweet when sober, when drunk, prone to rage. In hushed tones, my mother used to tell us how he chased my father and uncle around the house with a butcher’s knife. No wonder the boys were shipped off to a south Georgia orphanage. My one memory: I hold Grandaddy Ben’s hand. He is tall, with big leather shoes, crinkly skin, a firm grip. It’s a warm Atlanta day and we walk up the street toward the friendly white house with the fancy doorway where I have my own room and a pink gingham bedspread. I have no trouble keeping up because he’s old, tired. He coughs a lot. He smells of sweet vinegar. I skip and chatter and now and then, Grandaddy Ben smiles and nods and squeezes my hand. He leads me home. I am not disappointed. About a month ago, our middle son returned after a year of work/travel abroad. He’s an easygoing sort, as comfortable nestled in a sleeping bag in the highlands of New Zealand as he is on a ratty basement couch. A good thing this. While he was off with the Kiwis, I was feathering his old nest in vintage Attic style. Out with the bunk beds and Pink Floyd posters, in with the Colonial end table, the Empire rocking chair, the spool-turned, “three quarters” bed. Matt, who stands at just under six foot two, must stretch out diagonally to comfortably sleep. 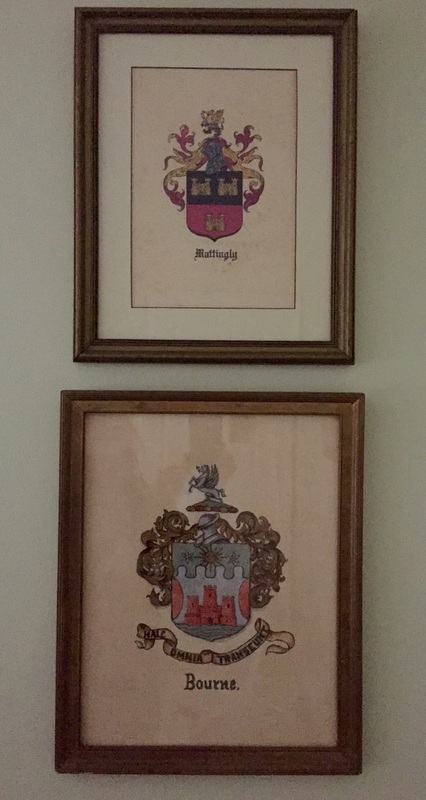 Moreover, he wakes each morning to see his great grandfather’s Dental License hanging on one wall and opposite, a series of ancient family crests, all of which I’ve been meaning to re-frame but well, haven’t. A squirt of Windex and a firm swipe and they’re (almost) mildew-free. Matt (full name Mattingly Payne … see how that noble crest makes the room his own?) is a good sport about his Attic-inspired digs. (Does he have a choice as he deliberates his future while working three part-time jobs?) He’s such a good sport that he’s agreed to help out with The Attic Project, Phase Two (part-time job number four!). 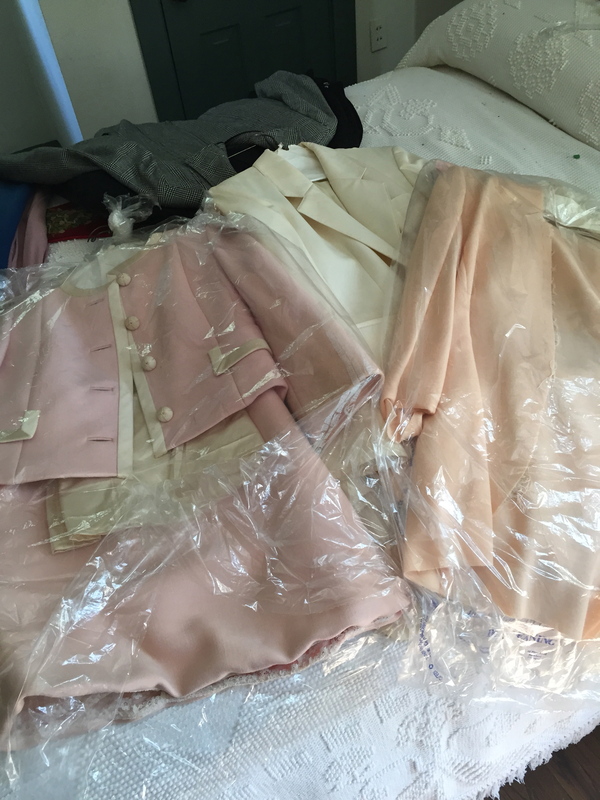 At long last I’ve begun to sort through the mangy boxes and bins I dragged last spring from my mother’s house to mine, and somehow I’m now a little less enamored with, for example, the non-functional travel iron, the stained taffeta trousseau dress, the broken down high chair and my old Easy Bake Oven. “Will not Heat.” Good to know, Mom! What in the heck do I do with all this stuff? The temptation to heft it straight up to my own attic is strong. This has become my husband’s greatest wish. Never has he been so eager … I can carry those boxes on up for you. There’s plenty of room up there! I refuse him. I know myself too well. 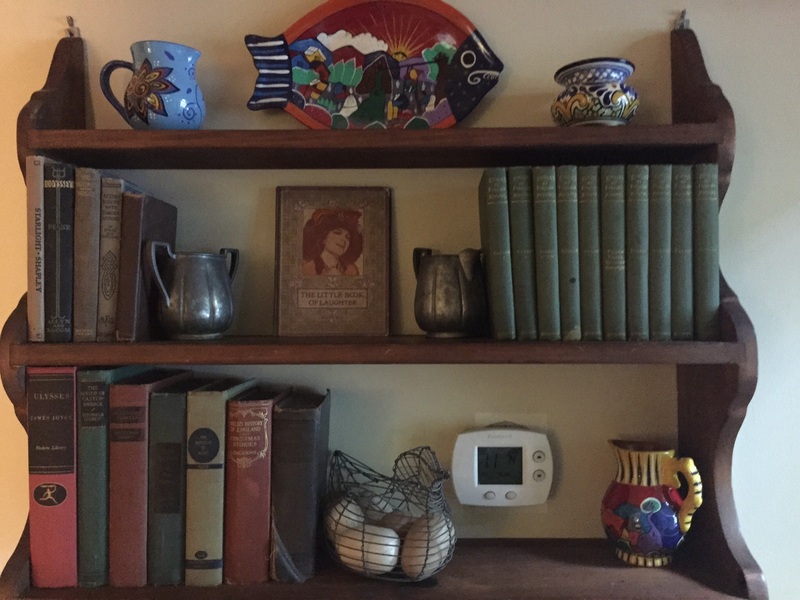 As long as these treasures remain close at hand, stacked and gathering dust in plain view, I will eventually make myself organize and properly store them. Once it’s all out of sight? No dice. We begin with the letters. Hundreds of letters. Include the sundry Christmas/Valentine’s/Anniversary cards, and it’s a clean thousand. Cross my heart. Matt reminds me he’s a bit of an expert at archiving, having worked just out of college for a company called “Dust to Digital,” where he scanned and preserved papers and albums left behind by forgotten folk artists. Parfait! So I’ll take the old fashioned tasks and he’ll digitize. 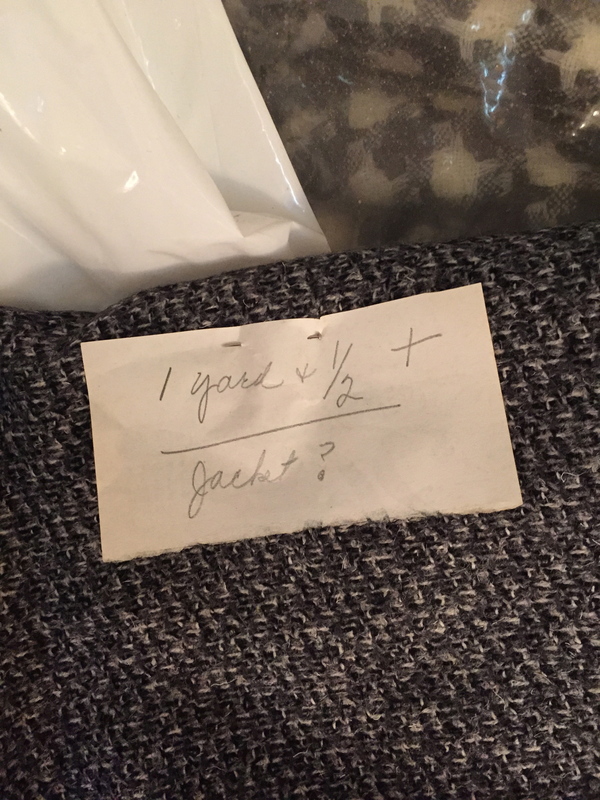 Armed with new acid-free, archivally-safe sleeves, I open out yellowed missive number one, June 1938, penned by my mother, still single, a 19 year-old Agnes Scott student, to my father, a recent Georgia Tech grad who’d taken a sales job with National Theatre Supply Company in Albany, NY. I slide the pages and their matching envelope into the sleeve, tag it by date, and move on. Only I don’t move on. I stop to read the letter. And the next one, and one more, and soon I realize Matt is scanning and documenting at a rate of about five to my one. A small sampling of the notes, cards, letters saved. 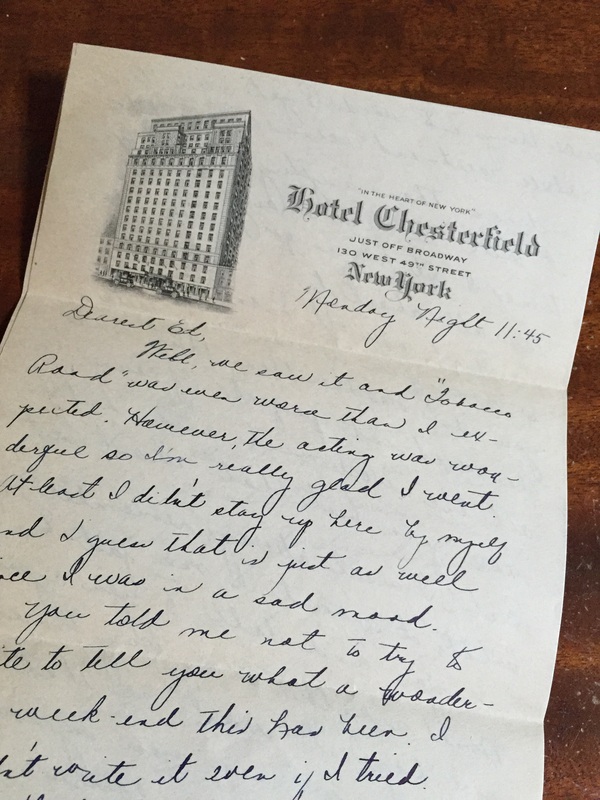 Letter my mother wrote the evening my father returned to Albany after their outing to the 1939 Worlds’ Fair. A year and a half later, they were married (see Stardust Memories, Parts I and II, there in the sidebar, just a click away!). Today, November 8th, would have been their 74th anniversary. I look around at my house strewn with papers and odd souvenirs (and archival sleeves!) and decide, yeah, it’s worth it. Thanks to Matt, my brothers and sister, my nieces and nephews, my children and (yikes) grandchildren, will be able to enjoy this little slice of family history. Maybe they’ll think, “Hmmm. Weird.” But they might smile while they’re at it, the way I can’t stop doing myself. Happy Anniversary, Mom and Dad, no thanks to the Florida dentist! PS! You might notice I’ve tinkered with my blog’s layout. I may totally rework it soon … comments and suggestions welcome! 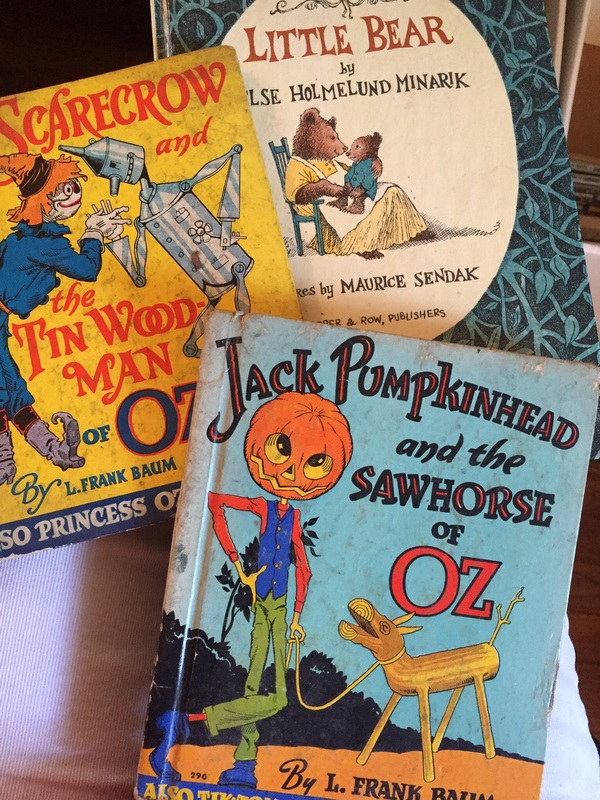 Scarecrows and Tin Men and Bears! 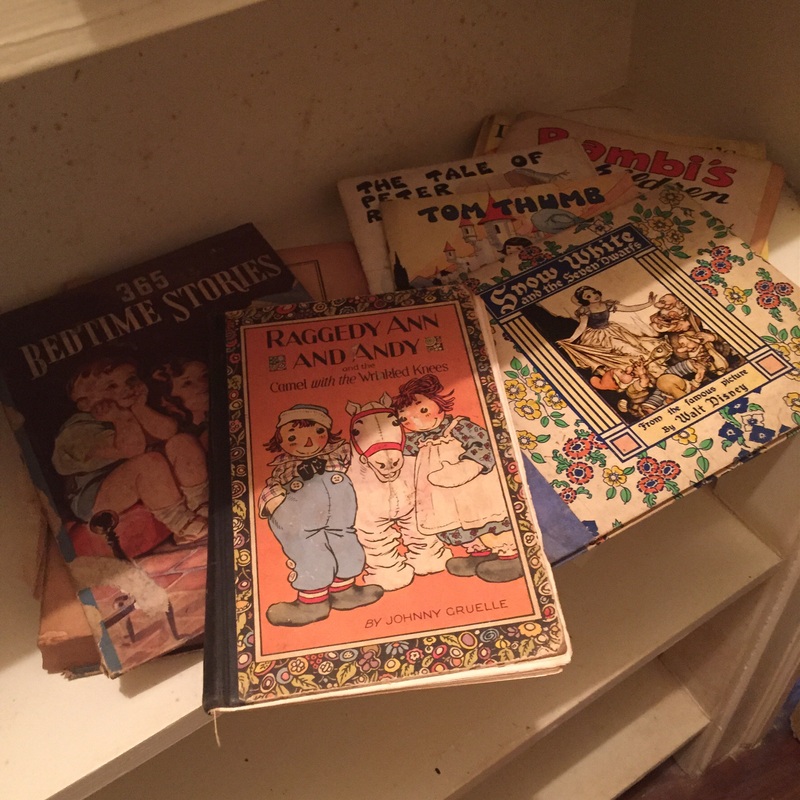 Raggedy Ann, Tom Thumb, Snow White, and Bambi and boom, by the time I was four I’d met with little people, creepy dolls-come-to-life, a mother’s death and a princess. My mother wasn’t what you’d call hands-on. When I was a kid, we didn’t spend afternoons together making macaroni necklaces or finger painting. Messy crafts in particular weren’t Mom’s thing (though I do remember a Zoom Loom). Later, I don’t think she ever pulled up a chair to help with homework. And SAT prep? Um, no. As for shooting hoops or kicking a soccer ball around the yard? We-e-lll, let’s just say she didn’t have the proper shoes, her thin-soled white Keds notwithstanding. 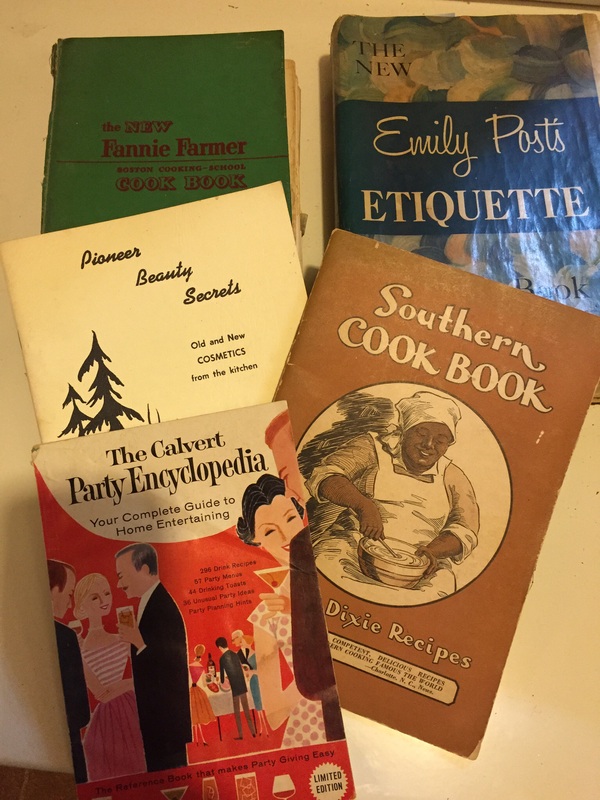 Emily Post, recipes from Old Dixie, a Party Encyclopedia … the keys to my mother’s homemaking success. This is not to say she didn’t care. My mother cared a LOT. In fact, as the last of her six children, I was expected to fulfill her fading parental dreams. She wanted me to be the best damn finger painting-macaroni-necklace-making-zoom-looming basketball star in the state of Georgia, as long as she didn’t have to dribble a ball or risk soiling her blouse. There were exceptions. In matters of fashion, Mom led by example, taking me along to mall, boutique, discount house and fabric store alike. More importantly, she was into books, way into books. Before I could read on my own, she read to me (though not that often by today’s standards). The Little Engine that Could and Grimms do come to mind. 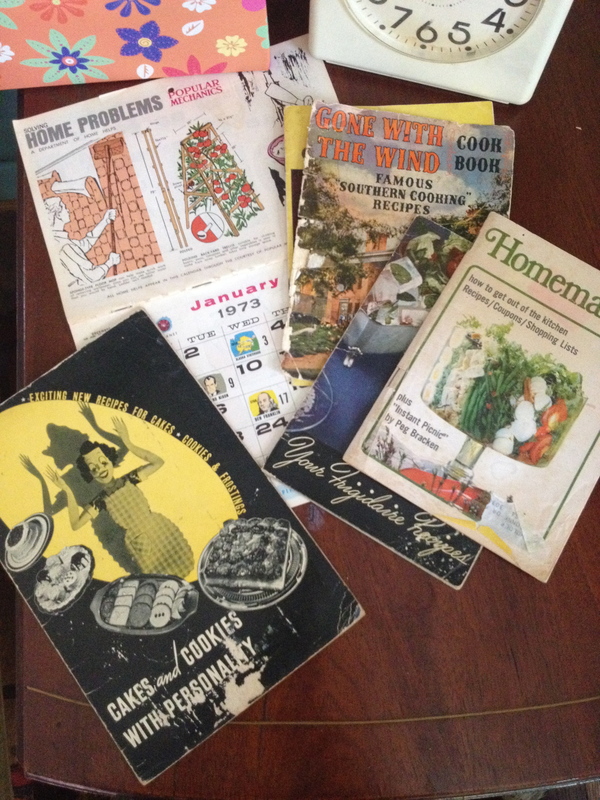 But mom was a reader herself, a devourer of print, and I became one, too. A case of successful parenting-by-trickle-down, I suppose. 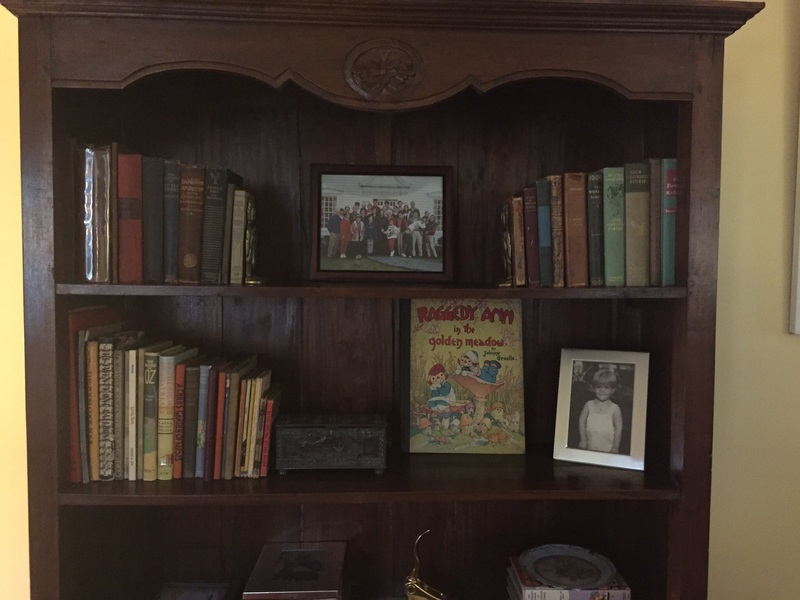 Books were omnipresent as I grew up, and my parents’ house remained stuffed full of them right up until the day Mom died. During last spring’s house purge, I saved cleaning them out for last. 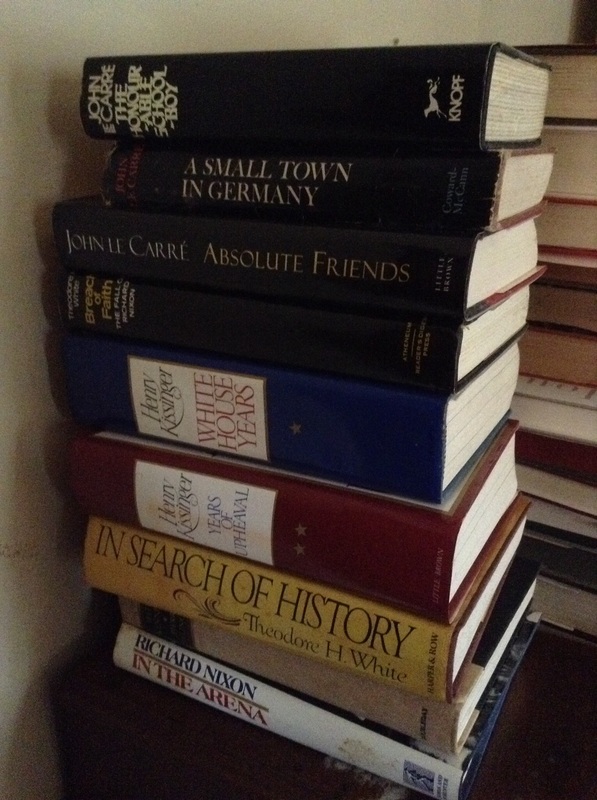 I didn’t really plan it that way, but I think as long as Mom’s books remained, I could feel her there with me too, her spirit tucked between the pages of everything from James Joyce to John LeCarré. 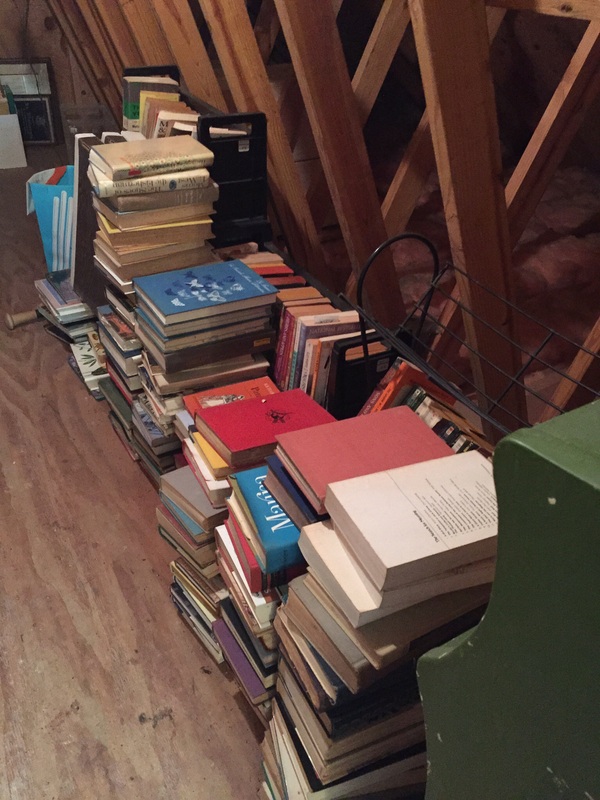 We found books upstairs, downstairs, stacked on shelves, filling up secretaries, piled in tattered boxes under attic eaves, hidden under chairs and tables. There were hardcover and paperback; literary fiction and biographies, mysteries, and spy novels; first editions and worthless mass markets; cookbooks, travel guides, books on architecture and politics, Bibles (one dated 1827, from my Dad’s side of the family), and of course, Catholic How-to Manuals (wouldn’t Pope Francis be proud?). Among these were Birth Control for Catholics (rather brief, that one) and the Catholic’s Guide to Expectant Motherhood. There were so many books that finally, I ran out of time to decide if this one would go to the public library, or that one to Goodwill. Needless to say, lots came home with me. I suppose one day my sons and daughter will be forced to go through them all again, but maybe that’s not such a bad thing. I thought of Mom and her books the other day when a post popped up on my Facebook feed noting a drop in ebook sales as compared with print. Too, it seems studies keep showing that folks (even millenials!) like the feel and smell of a physical book. Well, after sorting through thousands of pages, some of them mildew-stained or harboring crumbled insect remains, I have to say I can see why. And hold on a minute, here comes a memory … I did have finger paints! That smell! Sure, there was a box of them in the back of my closet, right under the Tiddly Winks. Alas, I believe that by the time my friend Diana and I finally dug out the jars and donned our own smocks, the paint had evaporated, leaving behind a crusty, pocked rainbow. But hey, we had books to spare. For a while, we even got into copying them, word for word, into spiral notebooks, though we kept that strange little game to ourselves. Today, Diana and I are both writers. And my sister is a journalist, one brother is an ad man/copy writer, another writes PR and speeches for Coca Cola. Hmm. 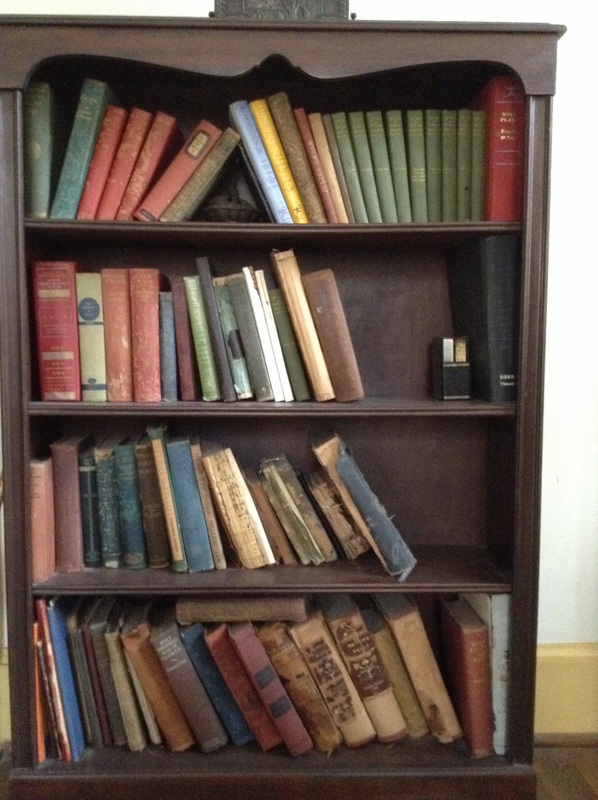 Some of Mom’s books now displayed in our downstairs hallway. Skeins from Mom’s knitting phase, which apparently was short-lived. (See right for half-finished product). But you gotta love that wool! Receipt dated Feb. 2, 1957. I have a natural aversion to wool. It’s itchy, it smells when wet (or old—boy does it), and worst of all, you wear it in winter. Ah winter … long cold nights, mold and dust, dry coughs, cracked skin … (Is my Seasonal Affective Disorder showing?) It’s not all bad, you’re thinking, and sure, I love a good crackling fire, a little hot cocoa, silver bells and the occasional boule de niege, but with sincere apologies to all the knitters, Pendleton execs, and fat furry Merinos out there, wool gives me the willies. 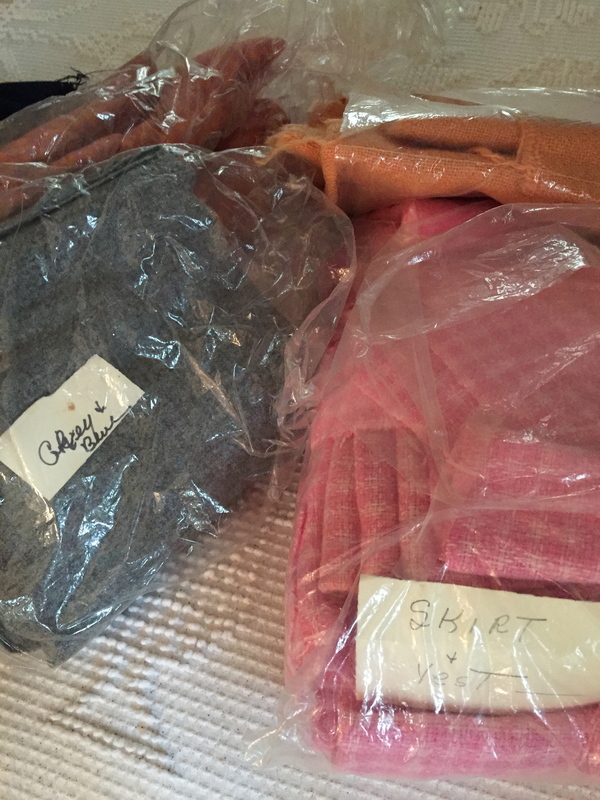 My mother, on the other hand, was a great fan of Cotswold and English Leicester alike, a lover of gabardine, houndstooth, tweed in all its many manifestations, a veritable wool-monger, she was. I clued in early on, during a jaunt through the British Isles when I was all of ten, to my mother’s respect for—nay love affair with—wool. In every village north of Liverpool, she scoped out the corner shop with the fisherman’s sweater in the window and the rafters draped with tartan plaids. “Turn in here!” she would cry, and my father, every joule of energy dedicated to keeping the rental car left of the centerline, would pull over with a sigh. Inside, I found I stood just about bolt-height, which is to say, no air. I breathed in wool, left and right. My eyes watered and the hairs on my neck stood on end. 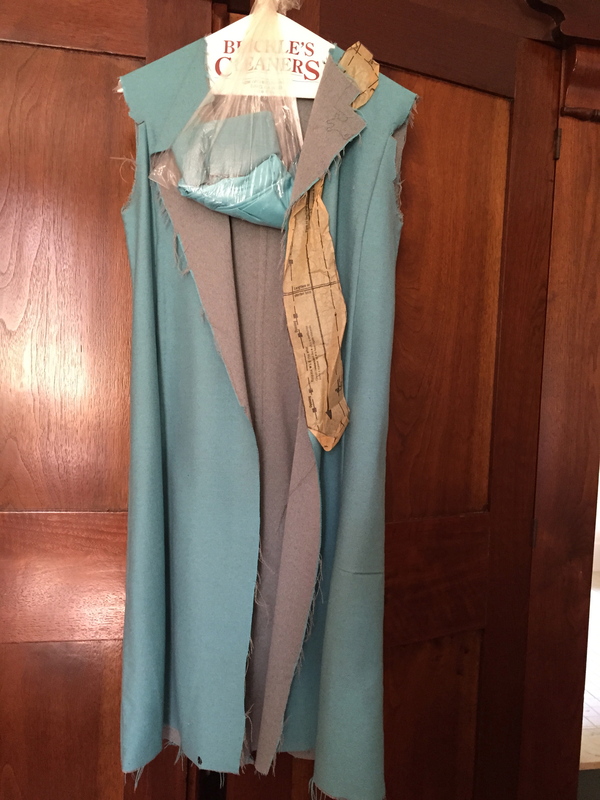 I scratched and wiped my nose while my mother the seamstress swooned over a length of wool crepe, imagining it as a pleated skirt, or coveted a bit of McKenzie green, dreaming the smart blazer she might wear to a ladies’ lunch back home. She simply couldn’t resist. 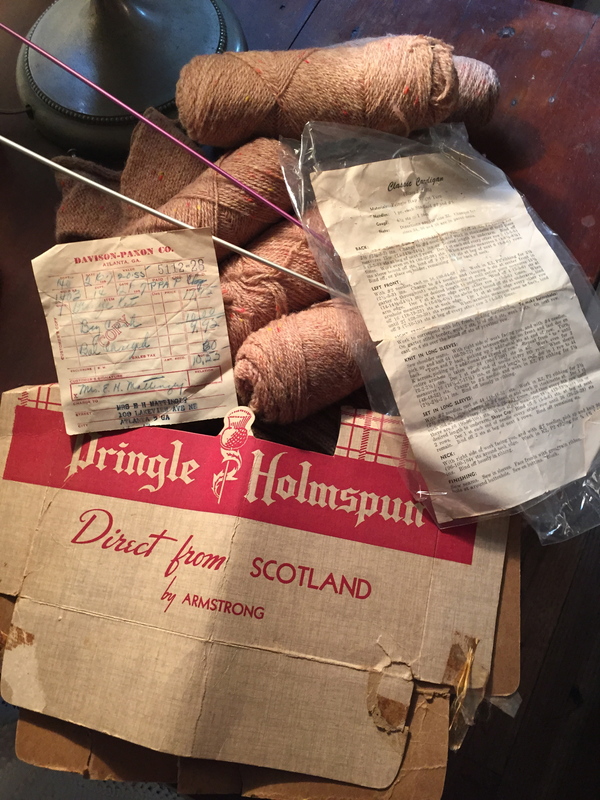 She bought meter after yard, reams of the stuff, not only from the Scottish and Irish shopkeepers she quickly befriended but back home, from Atlanta stores like Hancock’s, Davison’s fabric department, later Sew Magnifique, and a place called Penney’s (or was it Penny’s?) that once sat deep in the heart of Buckhead. I liked our Saturday morning visits to Penny’s. It was open and well-lit and I was able to hide happily among the silks, to breathe in the cleaner scent of the cottons while Mom sorted through her jersey knits and herringbones. 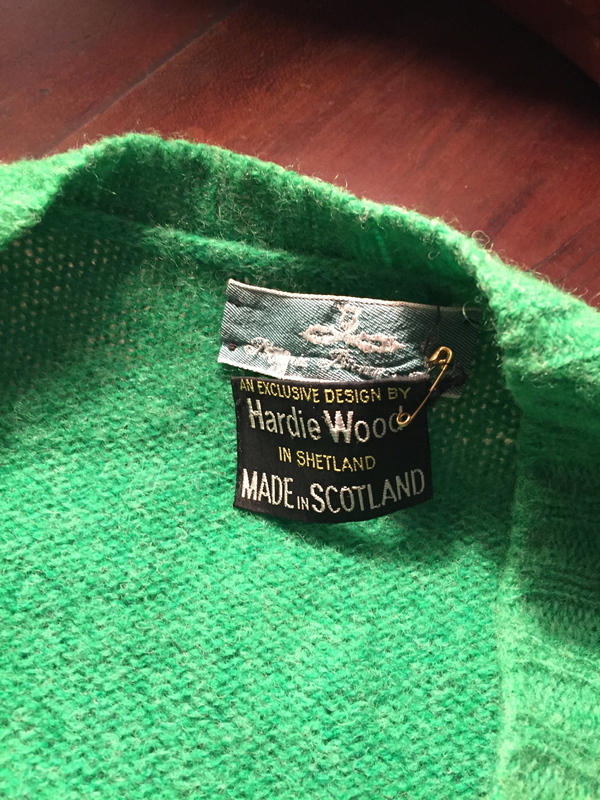 Sweater in Kelly Green, proudly purchased in Scotland, and don’t you forget it, my mother seemed to say when she pinned on the errant tag for posterity. Sample Contents: (values approximate; wool, unless otherwise indicated) 79 skirts, mostly tea-length, some to-the-knee or maxi, 2/3 home-sewn. 37 suits (skirt and jacket, the occasional wool shell), a few Jaeger, some Chanel, more St. John’s Knits, and again, the better part home-sewn. 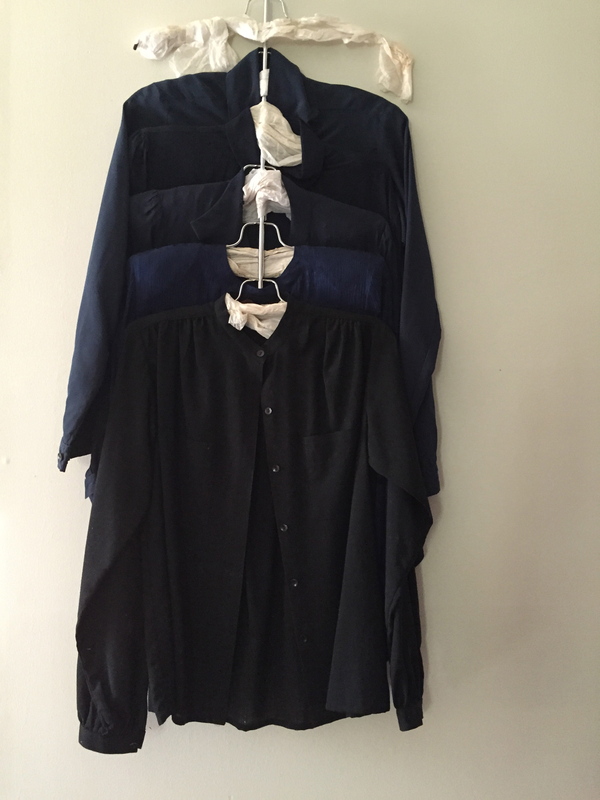 29 overcoats, a couple men’s styles included. 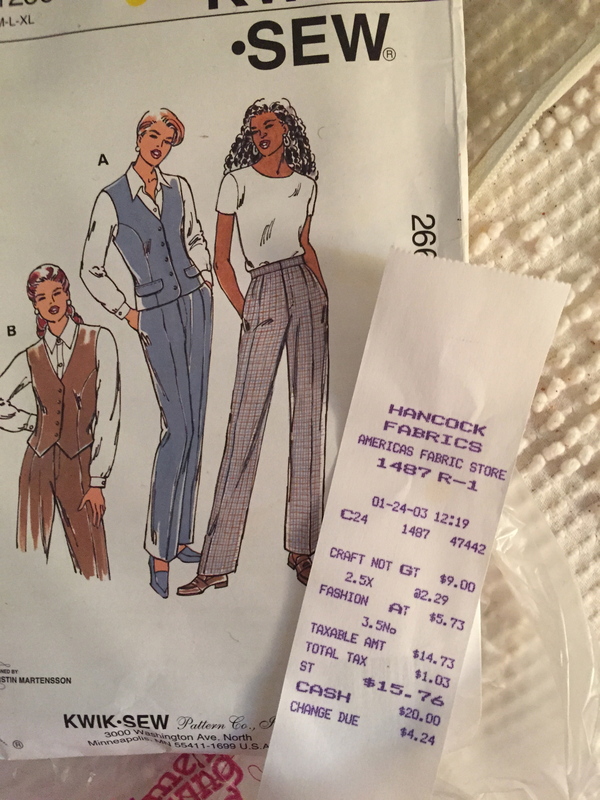 16 pair of slacks (though a closet-ahem-feminist, Mom fought the ’60s fashion overhaul to the end). 41 silk blouses (mais oui, moths eat silk for dessert), and countless–seriously, to count them would exhaust even Ebenezer Scrooge–wool remnants zipped or tied into plastic bags. 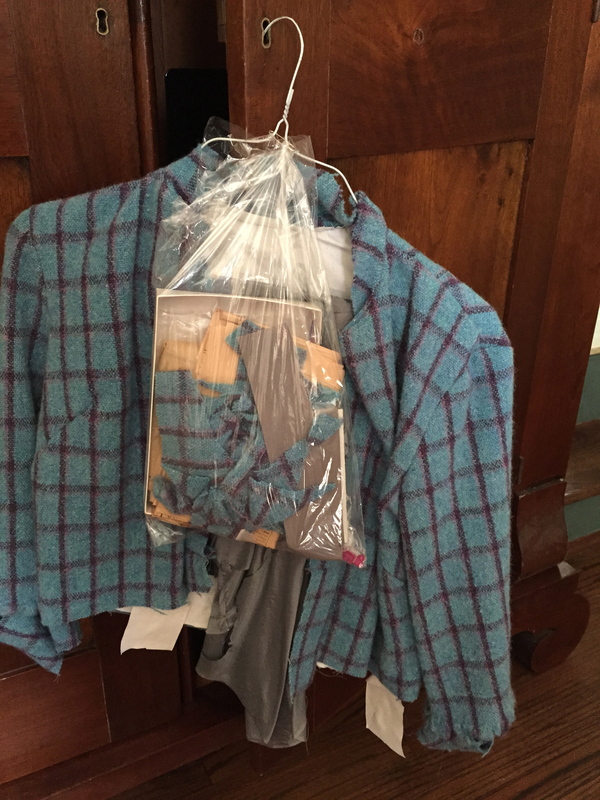 These include strips and squares leftover from finished outfits, swatches brought home to be mulled over, and stacks of uncut wool, some of them color coordinated, others with notes attached that indicate Mom’s master plan. Good black flannel, she might write. Pants for Marth?–that sort of thing. Slacks? She made them, but hardly wore them. As we sorted through all this (Save for Family Distribution? Give to Goodwill? Toss in Trash? ), we made sure to check pockets for forgotten treasures. 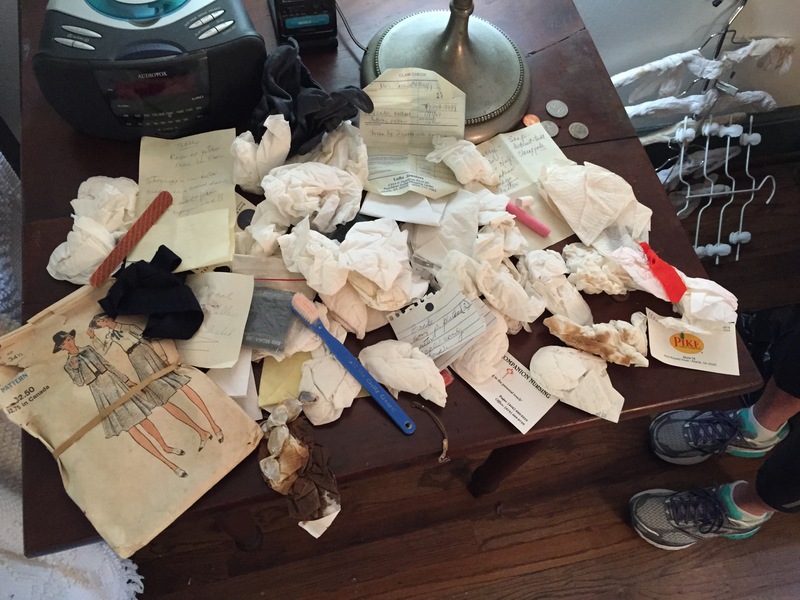 Hoping for jewelry or hundred dollar bills, we found instead (see below) dozens of balled up tissues, emery boards, chalk (? ), a toothbrush (?? ), and several notes-to-self. But we also discovered a startling number of unfinished projects, skirts and suits Mom began and stored away, thinking she’d get back to them. She was also a fan of the Re-Do. 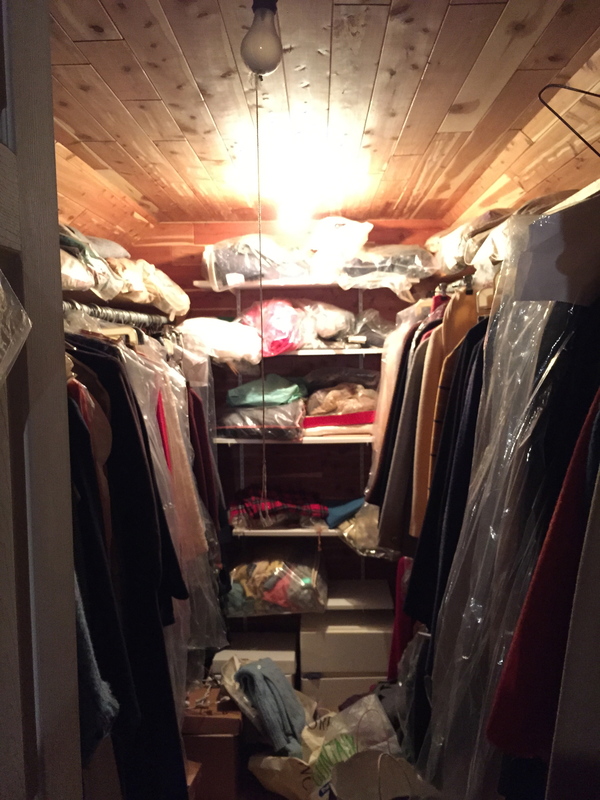 The closet thus coughed up many store-bought items with rent seams or dismantled collars, designer outfits my mother with her tailor’s eye just knew she could improve upon, if only she had world enough and time. These unfinished pieces sadden me. 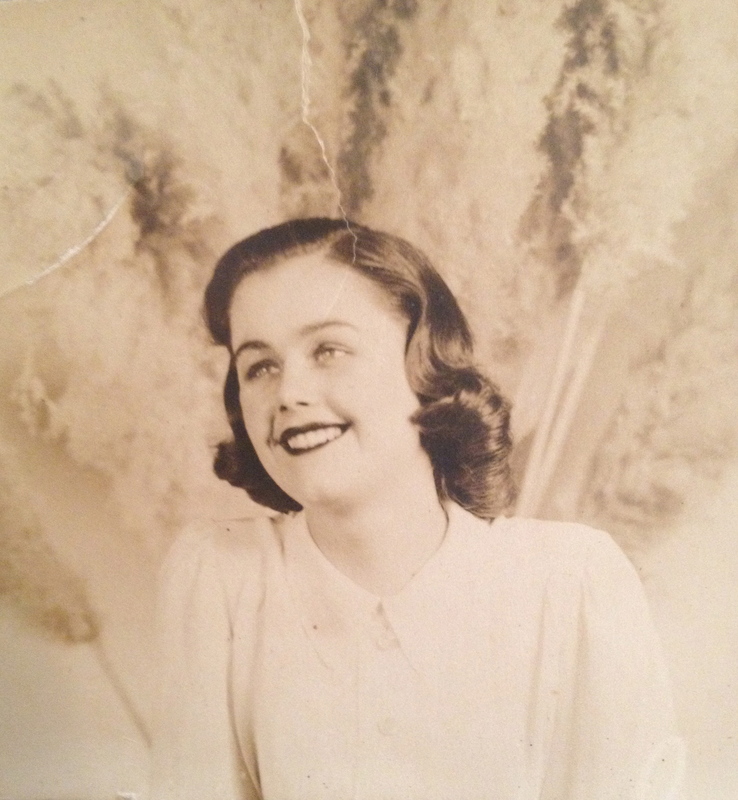 I think of Mom’s last years, years filled with the stasis of the very elderly. She sat mostly, in her favorite chair in that added-on family room she came to love. She read, until her eyes went. She watched television, until her short term memory went, and along with it, her ability to logically follow a storyline, while just above her head in their cedar shrine these half-baked dresses, these cut-outs with their filmy patterns attached, awaited her expert hand. Too, I can’t help but think of my file cabinets, their drawers stuffed with poems I began then abandoned, stories, even a novel, compulsively revised but never published. I guess I’m not so different from my mother after all. And maybe it’s the process that sustains us, the joy of creating. Though we can never finish all that we start, we can sure go down trying. My youngest son, 16, is lucky enough to be part of his high school theatre department and this year, I’ve served (sometimes kicking and screaming) as the Props Mom. As such, I work alongside the Costume Mom, whose job is gargantuan. It hit me mid-week that I should start her a stack from the Cedar Closet, and I’m happy to report she accepted every skirt and overcoat and dress I brought in. In fact, one of the leading ladies in the next production (set in the 1930s) has decided to wear one of Mom’s old ball gowns in the final scene. It’s a china blue taffeta with a tastefully plunging neck line, and a perfect fit. I think Mom would love the way she wears it. 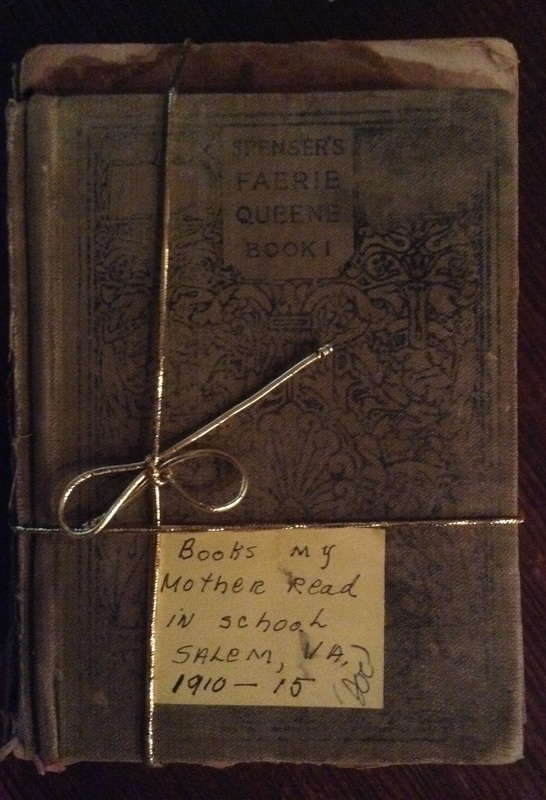 My mother loved words, as the contents of her attic fully reveal. (And I’m not talking about books. Yet.) Here under the eaves, boxes of travelogues and perhaps every brochure she ever picked up in a museum, cathedral, or botanical garden. 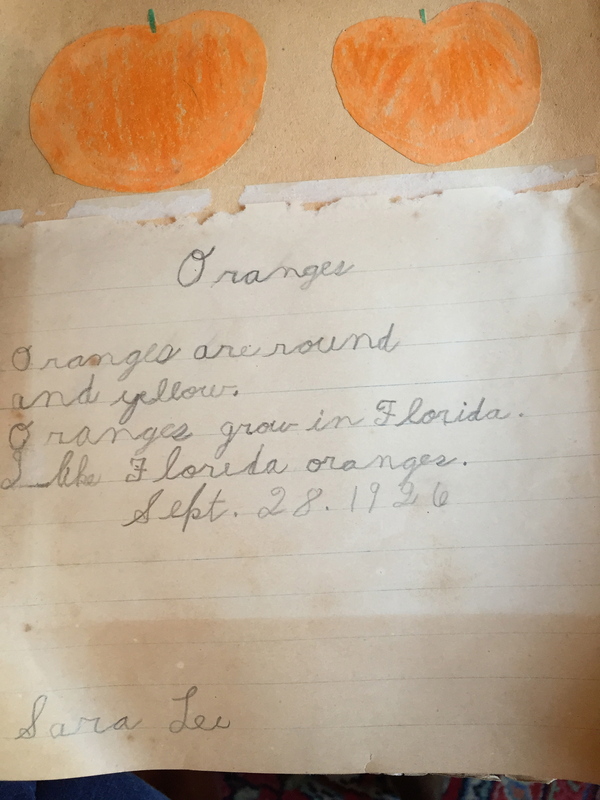 There on a sagging plywood shelf, a tupperware bin exploding with preschool drawings and early elementary worksheets (some of them my mother herself completed, in the mid-1920s). Beneath a basket of crumbling dried flowers, a muddle within a mishmash–pages and pages of newspaper and magazine clippings stuffed into grocery bags, zip locks, manila envelopes, and in bits and pieces scattered about, all manner of perfectly useless print: stacks of old bank statements, acceptance cards from wedding guests–my sister’s and mine–and calendars dating back to the ’70s, some with reminders scribbled in the boxes (slightly interesting! ), but far too many blank (decidedly not interesting). And of course letters–decades, almost a century’s worth of letters. So what’s it all about? 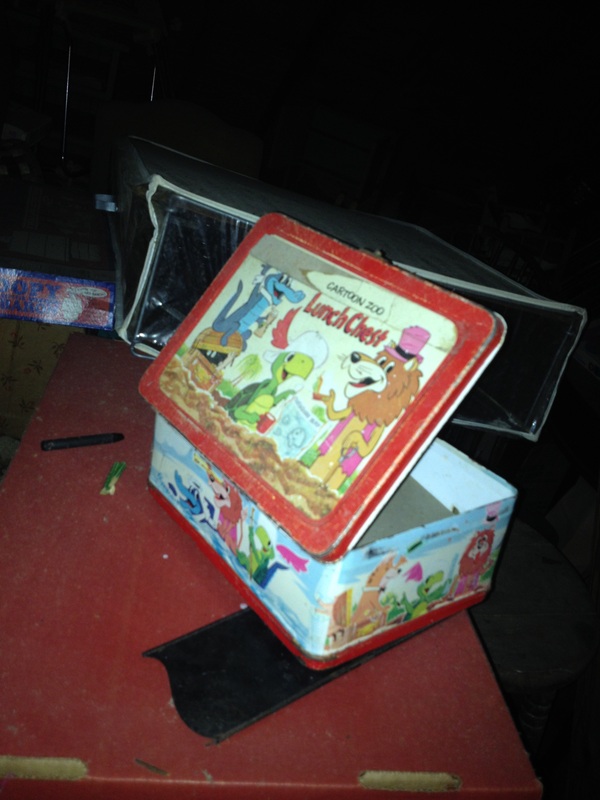 Why was it my mother couldn’t bear to throw any of it away? Had it been up to my father (alias Mr. Clean) we’d have nothing but the signed photo of Georgia Tech’s Coach Bobby Dodd and the ticket stub from a Glen Miller Dance concert. It’s hard to say why. In part, surely the Depression’s to blame. They lost so much, those Depression kids, not only during the economic doldrums but just after, during World War II. Maybe my mother could never shake the feeling that if you had something you liked, for whatever wacky reason, you’d better hang on to it lest you lose that, too. Did she live too much in the past? Probably. 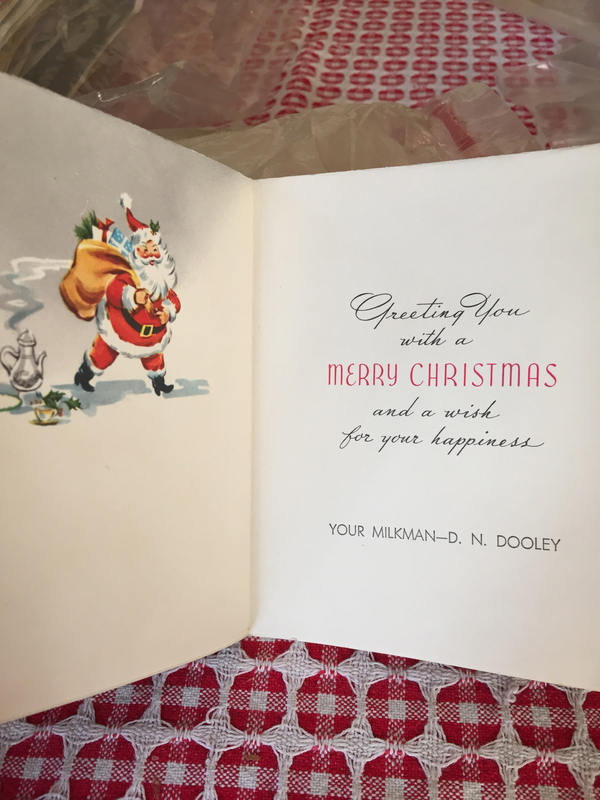 I mean what forward-thinking soul would save a Christmas card her milkman in 1962 tucked into her tin milk box one frosty December morn? 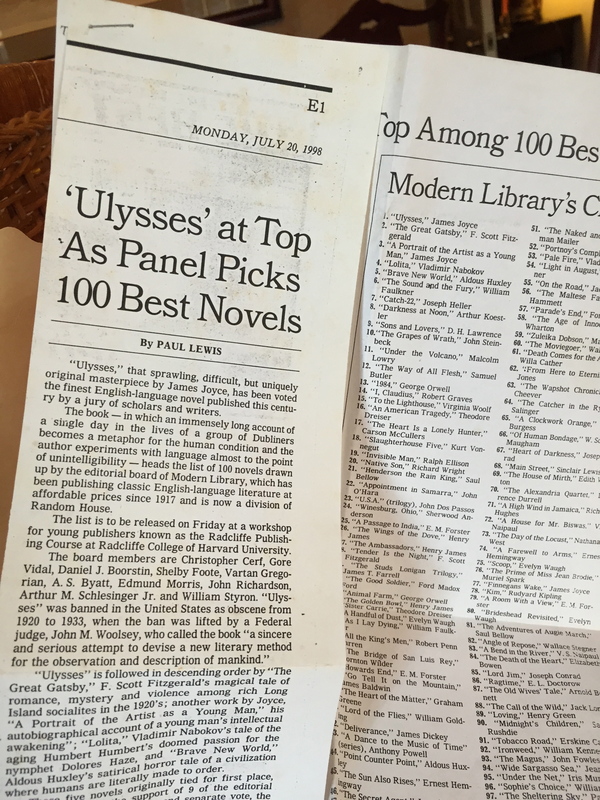 Still, I believe my mother’s tendency to hoard, to cling to these papery keepsakes that may seem meaningless to us, is more a sign of hope than anything else. I’ve alluded to this before, and maybe I repeat it because I’m more than a little like Mom this way. Sometimes, to toss small treasures away–maybe that program from my daughter’s last gymnastics’ meet, or this boarding pass from the trip we took to see a few shows on Broadway with our youngest son–takes every ounce of willpower I can muster. It is about hope, about embracing the past, yes, but also looking to the future, anticipating the day I’ll pull out that boarding pass and think, that was a good trip, a good time, let’s plan another right away. For tomorrow will be good, too. 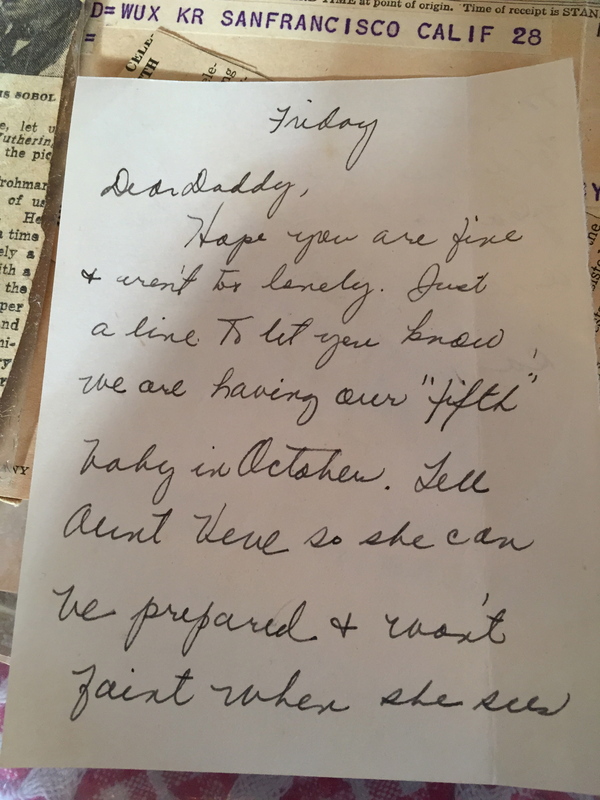 The note my mother wrote to inform my grandfather that she was pregnant yet again, for the fifth time in eight years. 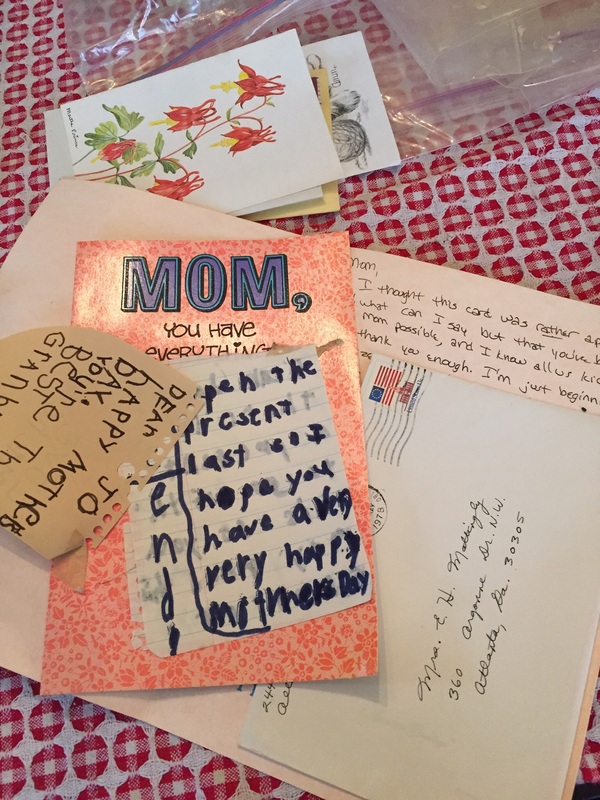 And if I’m not here to revisit the pleasure this slip of paper or that postcard brought, maybe one of my sons will be, or my daughter. 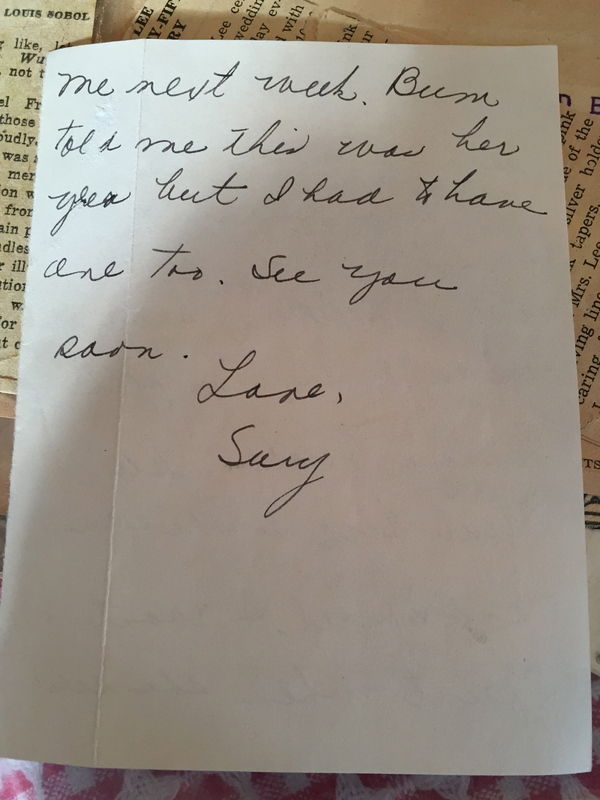 Yes, maybe my daughter will pick up something that was mine and feel the warm rush of shared emotion I get when I read the letter, pictured here, that my mother penned to my grandfather (how did it make its way back to her? 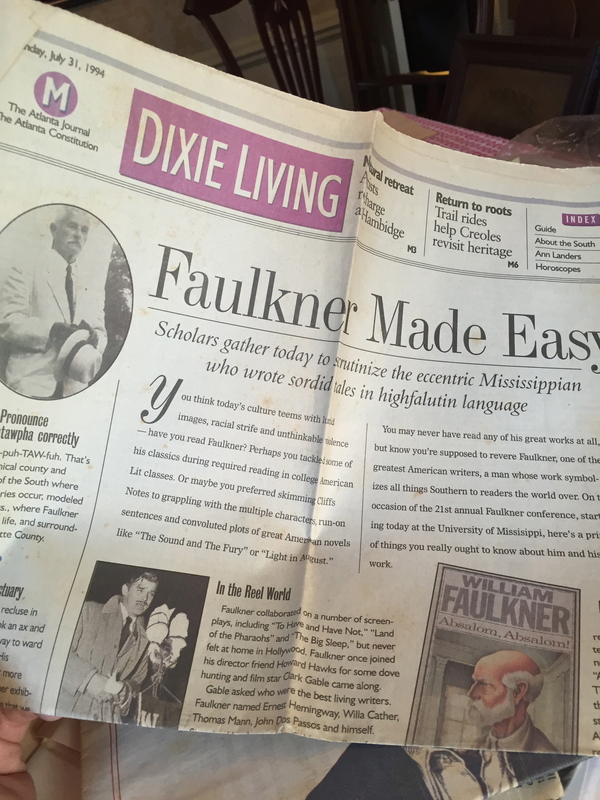 Via my Grandmother’s Attic, of course). There’s always tomorrow, these words, and the whole darn pastiche of them, seem to say, and I like to think it’s true. Before I leave the sewing room (fully reserving the right to return), a word about ghosts. I don’t much believe in them, but I’ve come to expect them nevertheless. This is a contradiction I can live with, and nowhere do I experience it more than among the stuff of my mother’s creative passion. Maybe it’s the dusty Butterick patterns stuffed into drawers, or the wooly smell of the moth-eaten skirts in the closet, or the sweet droop of the faded curtains that hang over the table where Mom used to spin her magic, whether finishing up her mother-of-the-groom dress within hours of the rehearsal dinner, or whipping in a final buttonhole on an outfit for me in the wee hours of Christmas morning. But somehow I, a non-believer, can feel my mother standing beside me, looking over my shoulder, ready to cry foul when I dump her treasures into my industrial-strength trash bag. “We-e-l-l-l, Marth. I’ll think about that—tomorrow,” says my mother-spirit. 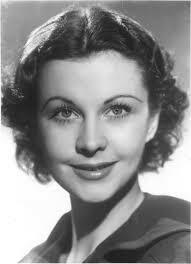 “Ok then, Scarlet,” she adds with an ironic roll of her Vivienne Leigh eyes. 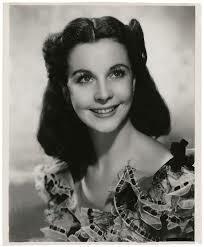 A smart, self-mocking specter, she’s proud to have snatched up the Gone With the Wind reference before I could pounce. Mom seems happy in this hybrid room, as she always was before, and she’s got company. There in the corner are my miniature pet turtles, dripping with salmonella. Their soft bellies bared, they teeter on tiny green feet and scratch at their plexi-glass prison, just as they did in life. And over here, on the table beside the bed, Oscar the goldfish—who like all domestic carp, got his death sentence the minute I dumped him out of his bloated plastic bag—swishes about unawares in water no one warned me to de-chlorinate. Best of all, my gal pals sit crisscross-applesauce on my pink gingham bedspread, fans of Crazy Eight cards in hand and boxes of Red Hots in their laps. It’s way past our bedtime. I can tell from their soft giggles and the still darkness at the window. I feel better now. Once I’m done ditching yards of mildewed swatches and sorting all the buttons for Goodwill, I’ll be okay to leave this room behind. It’s a good cozy place. Maybe some young couple will recognize that it would make a perfect nursery. A changing table would be nice under the window, and a bassinette could fit beside the closet that leads to the master. But they needn’t bother with a music box. The tap of a shadowy foot on a pedal, the snip-snip of threads, the phantom whirr of a Singer engine going full steam–these were my lullaby, and I slept like a baby. There’s something pleasing about the button–simple yet functional, often bright, sometimes shiny, and usually a circle–sun, moon, wheel, life. So primal, and yet, somehow divine, and my mother had ‘em by the dozens! Before I wax on, a disclaimer—two entries in and already I’ve moseyed out of my mother’s attic (it’s cold up there!). 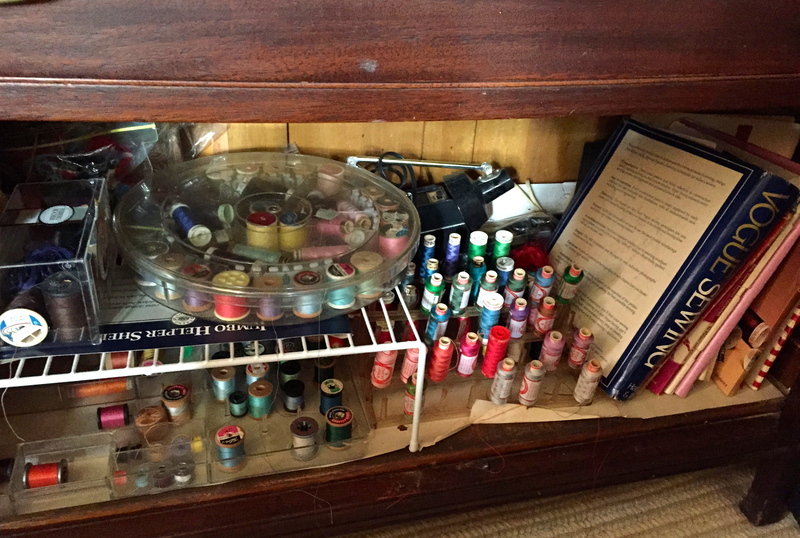 Down the splintered stairs and up the drafty hallway I go to the sewing room, which began its life as my bedroom. Question—does it count as a bedroom if there’s no bathroom within ten yards? The baby of the family, I was two when my parents built their dream home, so naturally I got the bedroom that wasn’t. I figured it was normal to scuttle through a closet and hopscotch between highboy and hope chest to get to the potty. The house that has fallen silent now was crowded and chaotic then, four brothers, two of them teenagers, sharing a pair of bedrooms and a Jack ‘n Jill bath, plus my sister, who at eighteen wasn’t keen on the idea of sharing much of anything. Who could blame her? She’d survived childhood (including semi-annual, seven-hour station-wagon rides to Florida) while sharing her space with four rowdy boys. She deserved a bed and bath of her own and what did I care? I loved that only that narrow closet jammed with shoes and worn bathrobes and musty boxes marked, For the Scrapbook! separated me from my parents. 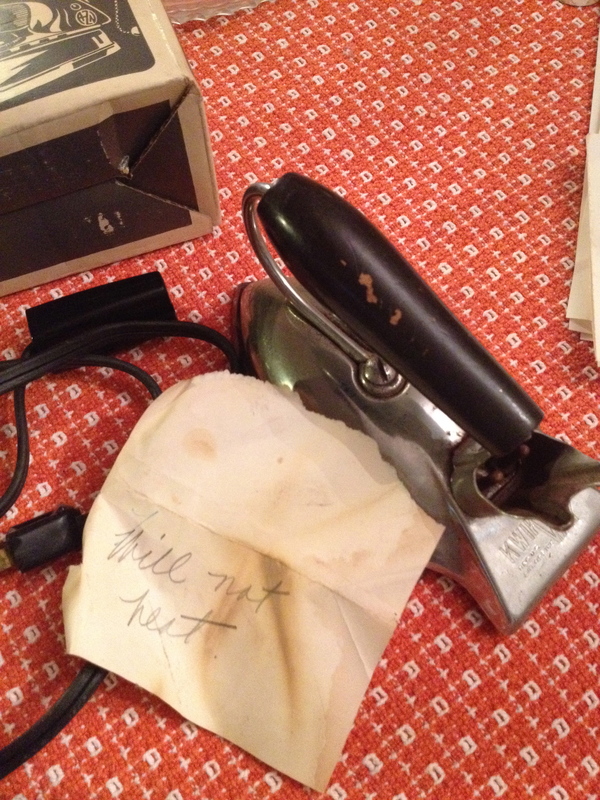 So I lived in the sewing room (even then it begged for a Singer and a good sharp pair of shears) and I shared my parents’ bath until I began to teeter at the brink of adolescence. Then, blessedly, someone declared it was high time I stopped barging in on dad when he was shaving so I could brush on a little rouge. Which brings us back to buttons. Or does it. I’ve moseyed again, this time way off the subject. But my mother did collect buttons, which made some sense because she was, one, a woman who disliked being caught off guard, and two, a seamstress. I suppose you’d call her an amateur seamstress. She didn’t sew for money, though she could have. She was good enough, but then, she was good enough at a lot of things to have gone pro but never had the courage. I wish she had. Late in her life, I think she wished she had, too. 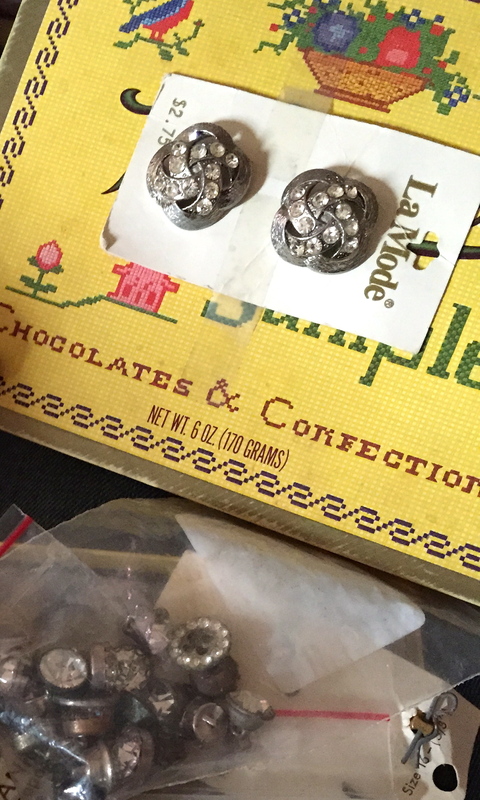 Still, Mom did beautiful work with her needle and thread, and the Chanel suits and St. Johns’ knits she stitched up came to life thanks to those rhinestone buttons up the front or the pop of that mandarin knot at the neck. So what if her eyes went before she could use up the tins full (all carefully ordered, as shown, and color-coded). Wasn’t that better than coming to the end of a long day’s work to find you were out of emerald green studs? Button up tight everybody, and enjoy the weekend. 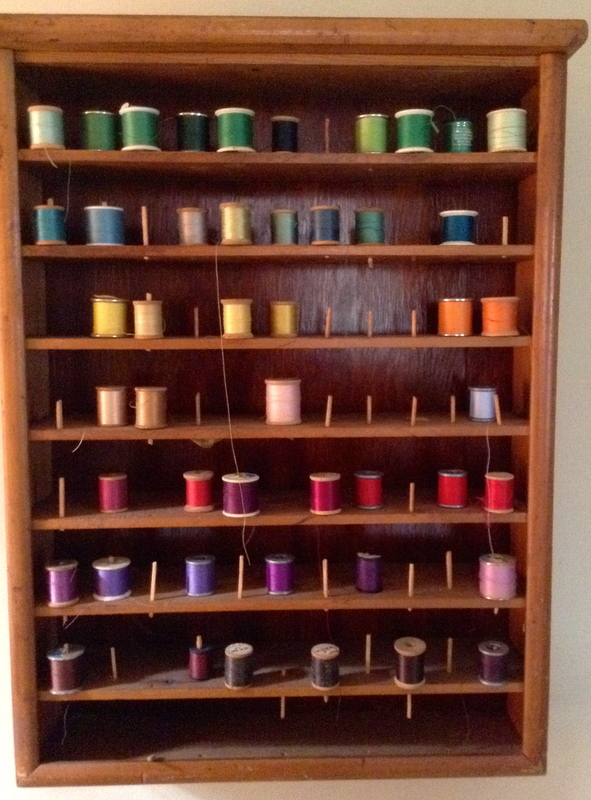 I’ll be sorting spools of thread while the Seahawks “take the air out of” the Patriots’ sails. Mom sporting one of her homespun outfits. Miss you, lovely lady.